A copy of the 1888 Burleigh map of Saratoga Springs hangs over the card catalog at the Saratoga Springs Public Library above a patron. The photo is in an album, "Saratoga Springs Photo Club, 1955" in the Saratoga Room, Saratoga Springs Public Library. 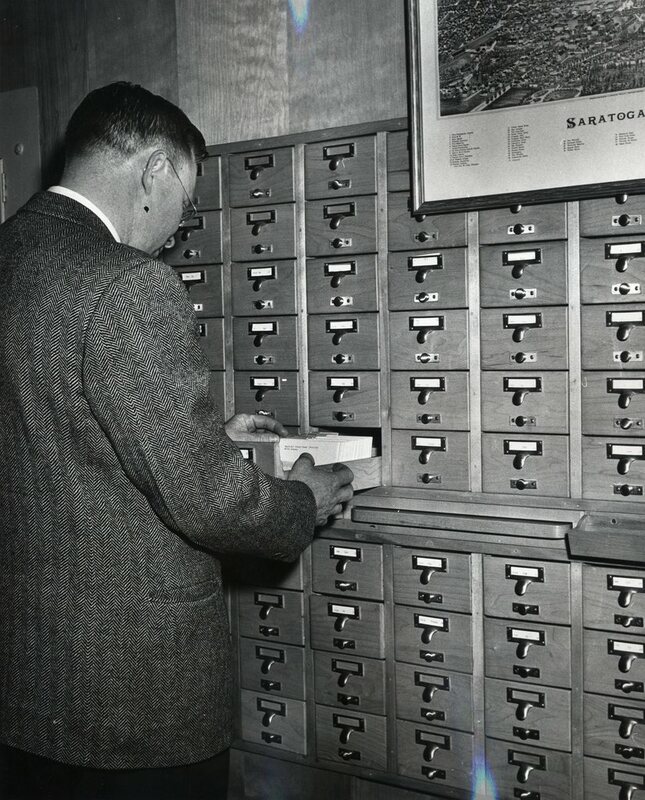 Dejnozka, Ladislaw (Round Lake, N.Y.) , “Burleigh Map over Card Catalog, L. Deijnoska,” Skidmore Saratoga Memory Project, accessed April 24, 2019, http://ssmp.skidmore.edu/document/177.